Hello and welcome. Here at our online retail shop you can buy Snuff Tobacco or Nasal Snuff Tobacco. 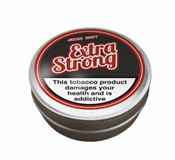 We stock many different brands of Snuff Tobacco from the UK, Europe and the rest of the world. We hope you will find our website useful for a range of information on snuff tobacco, it's origins and how to enjoy your products. Snuff.me.uk aims to pack and dispatch your snuff or chewing tobacco within 48 hours from when you placed the order. If your order is going to take longer than 48 hours to dispatch, you will receive an email from us detailing the reasons why. All of our dispatched orders are checked and stamp certified by the Royal Mail Post Office. If you pay for track and sign or international signed you will receive a tracking ID via email. Here you will find all the sale items on the website. Be sure to keep checking back otherwise you miss the bargain goods. Poschl snuff Tabak founded by Alois Poschl, a former snuff salesman, have been manufacturing and providing snuff for over 100 years. Since 1902 when Poschl Tabak was founded in Landshut, Bavaria by the late Alois Poschl on December 24th, the company has seen growth of over 33 million tins of nasal snuff sold a year. The Hedges L260 is one of the most famous snuff's produced in the U.K. and holds worldwide recognition as being a high quality classic. It is a medium strength snuff with an addition of an invigorating Menthol flavour. Hedges snuff is a Medium to fine ground snuff and is fairly moist which, provides a good tingle yet is still suitable for the less experienced. McChrystal's snuff recipe for this famous blend of tobacco and menthol oils is a closely-guarded secret, known only to handful of people in the last 70 years. This product is sold in 3.5gram tins and is a great taste to starting Snuff Bigger tins will be available soon McChrystal's Snuff is one of the world's top brands, selling millions of tins and growing in popularity. Seven generations of the Wilson family have followed Thomas at Sharrow Mills and the business is still wholly owned and run by members of the Wilson family.Today a wide range of packing is available and snuff is made in an increasing number of flavours. All Samuel Gawith comes in a handy pocket sized tin, that easily fits into your pocket or handbag, and therefore it can be used for ANY occasion, wherever you want to go. It comes in a variety of flavours to tempt the tastes of all customers. Medium moist snuff ground fine. All Gawith Hoggart Kendal comes in a handy pocket sized dispenser tin, that easily fits into your pocket or handbag, and therefore it can be used for ANY occasion, wherever you want to go. It comes in a variety of flavours to tempt the tastes of all customers. Medium moist snuff ground fine. The Bernard Tobacco Company has been popular for its traditional snuff-tobacco production for 280 years. Aside from snuff-tobacco, the progressiveness of the snuff-tobacco-manufacturer Bernard is to accentuate. The companies history shows the roots of industrialization not in the 19th century, but in the manufacturing of the 18th century. Silver Dollar nasal snuff is a rich and traditional nasal snuff, created with the finest select tobaccos. Widely considered a more Germanic style of snuff, Silver Dollar has a medium grind and has a mere hint of moisture for ease of use. 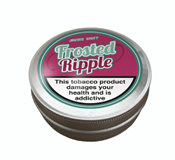 Ten great flavors that range from traditional tobacco to fresh fruit, all contain a touch of menthol to provide pure enjoyment to both the experienced and beginning snuff taker.